Railway and other embankments can have spots that sometimes are littered with the same type of plant over large areas. The next photo shows such a spot with large leaved plants. Capturing this in model will not succeed with ground foam or woolly materials. 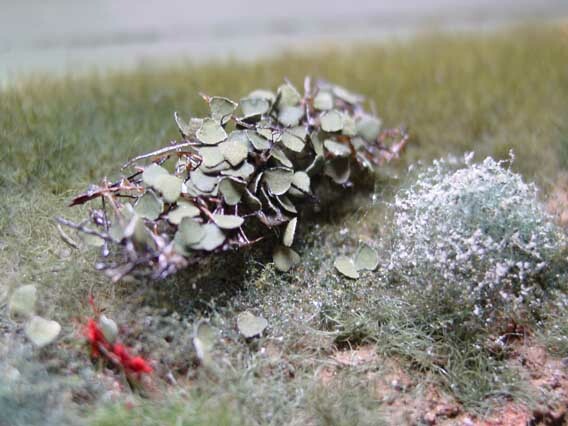 For this you need to model individual leaves on some base material, such as rubberised horsehair. Producing leaves can be by etching in thin brass, but colouring and processing this into leafy plants is probably not the easiest approach. 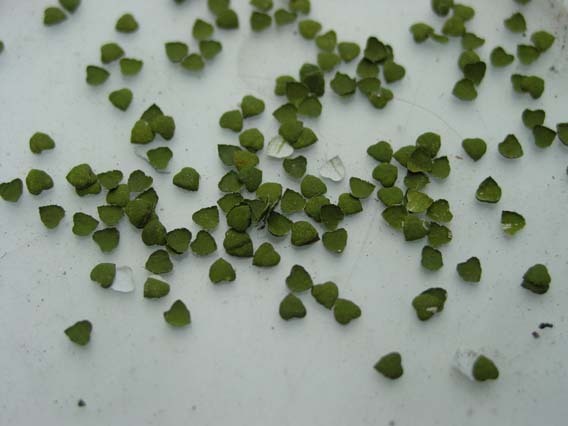 I was more thinking of punching leaves from pre-coloured paper, however how to make a good punch that quickly produces large amounts of these was escaping me until a VAG knowledge request brought together some useful ideas. 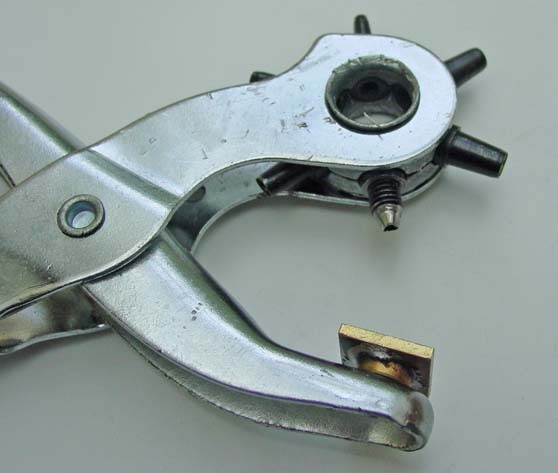 One of the ideas was to use a revolver punch tool with modified punches. I happened to have a cheap example, probably from east of the iron-curtain when this was still there. Inspecting it showed that this item was riveted, contrary to references to more expensive tools, where the punches are fixed with screw thread. In my case the punches were clamped and couldn't be exchanged easily. However with a bit of drilling the revolver could be taken apart. I replaced one of the original punches with a new base which was drilled and tapped with M6. The revolver part was screwed to gether again using some M3's and the tool was assembled again. 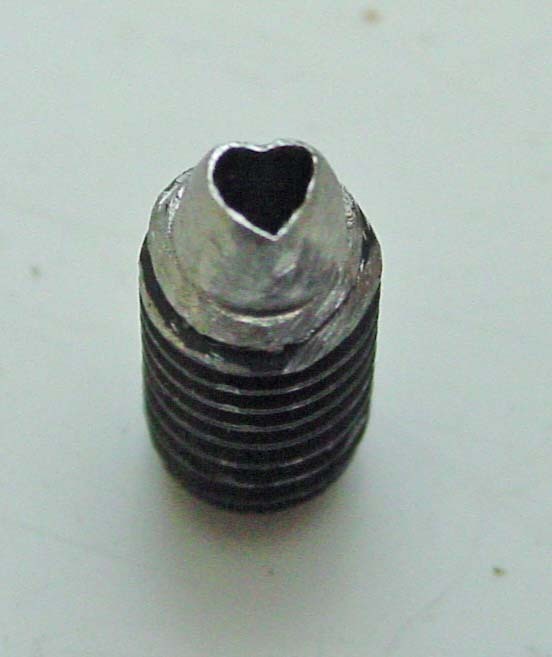 From a good 8.8 quality M6 bolt a new punch part was produced on the lathe. This graph shows the dimensions for drilling. Basically this part is about 12 mm long and drilled 3 mm until 3 mm is left. The punching end was first drilled 1.8 mm and with a 2.5 mm drill opened out at the back until a ridge of <1 mm is left. This was attacked with files to shape it up into a form that resembles the leaf in question. The last part was grinding away the outside until very thin edges are left, thin enough to punch paper. This photo shows how it looks. It is maybe not yet resembling fully the leaf form I need but but others are easy enough to produce for variations. The next photo shows the revolver tool in question. As you can see I also enlarged the platform with piece of brass as this did not line up very well with the punches. Now we can try to press these into a test. Finding a piece of horsehair, painting black green, hair laquer and sprinkling leaves on top. This is not a bad start I think?